Daryl Joan. 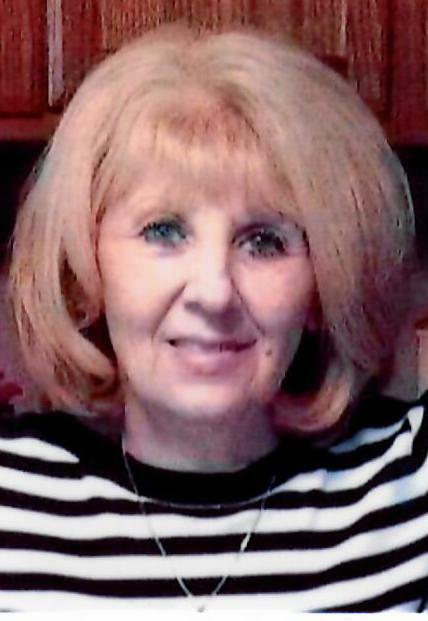 “Diddy” Runk, 63, of Williams Hill Road, Six Mile Run, PA; passed away on March 17, 2019 at Chan Soon-Shiong Medical Center, Windber, PA. She was born on December 1, 1955 in Roaring Spring, PA; a daughter of Jeremiah M. and Patricia M. (Bollman) Williams of Six Mile Run, PA. Along with her parents she is survived by her companion of twenty years Dwayne Smith; son David J. Steele married to Beth (Guyer), Hopewell, PA; granddaughter Maclyn Steele; siblings Jamie McAninch married to Terry, Piney Flats, TN, Jason Williams married to Sharon, Hopewell, PA, Patricia Rourke, Hagerstown, MD; numerous aunts, uncles, nieces, nephews, and cousins. She was preceded in death by grandson Leevi D. Steele. Over the years Diddy worked as an office manager for Long’s Outpost and most recently at Blank Book in Martinsburg. She was affiliated with the Immaculate Conception Catholic Church, Dudley, PA.
Diddy loved spending time with family and friends and caring for her grandchildren. Memorial Service will be held Saturday, March 23, 2019 at 11:00 A.M. in the Chapel at Akers Funeral Home, Inc., with Pastor Mark Lingenfelter officiating. Friends may call at Akers Funeral Home, 299 Raystown Road, Everett, PA 15537 on Saturday from 10:00 A.M. until the hour of service. Burial will be held at Yellow Creek Reformed Cemetery.